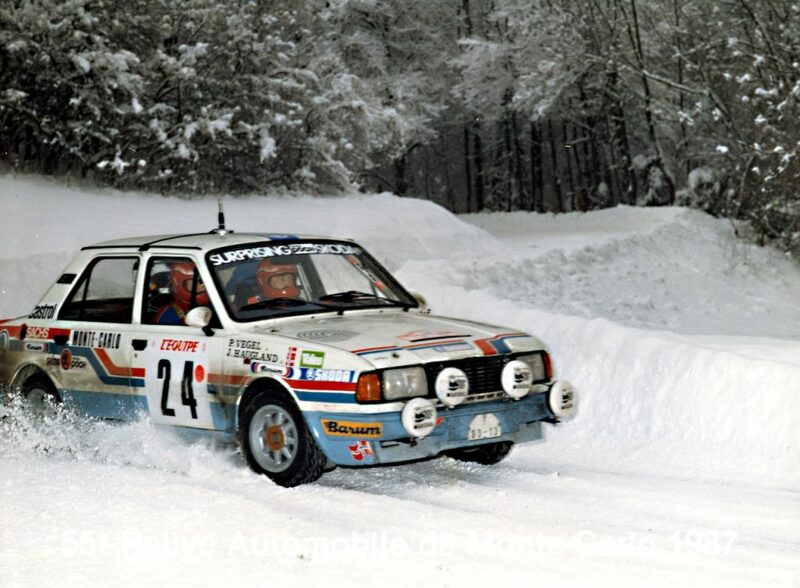 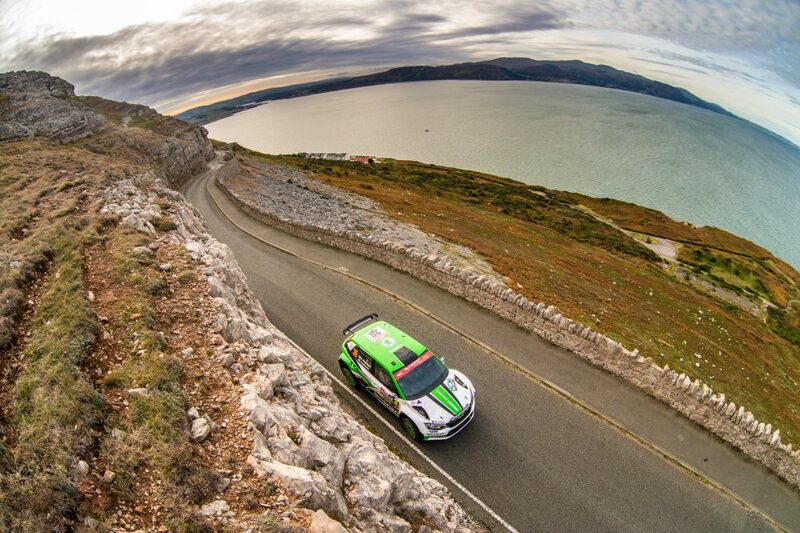 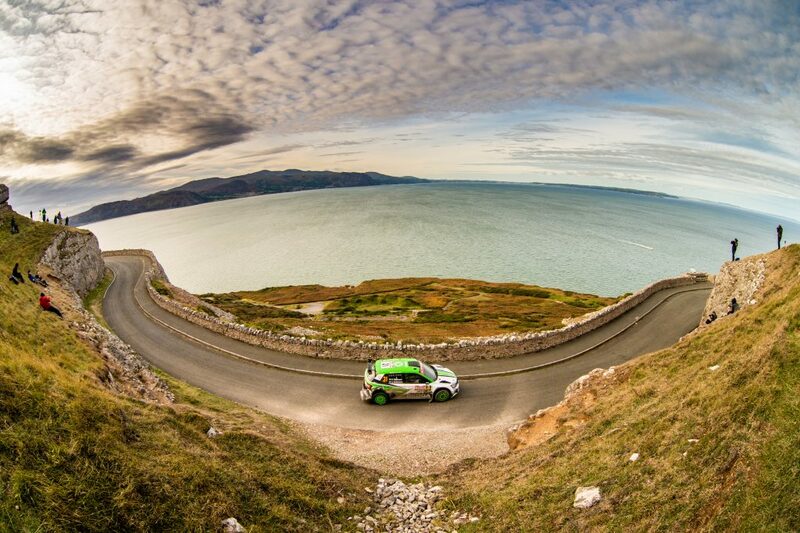 The Wales Rally GB is one of the oldest on the World Rally Championship (WRC) calendar having been first run in 1932. Since 2010, it has been based in Wales, with occasional forays across the English border, and sees drivers take on fast tree-lined forest tracks. 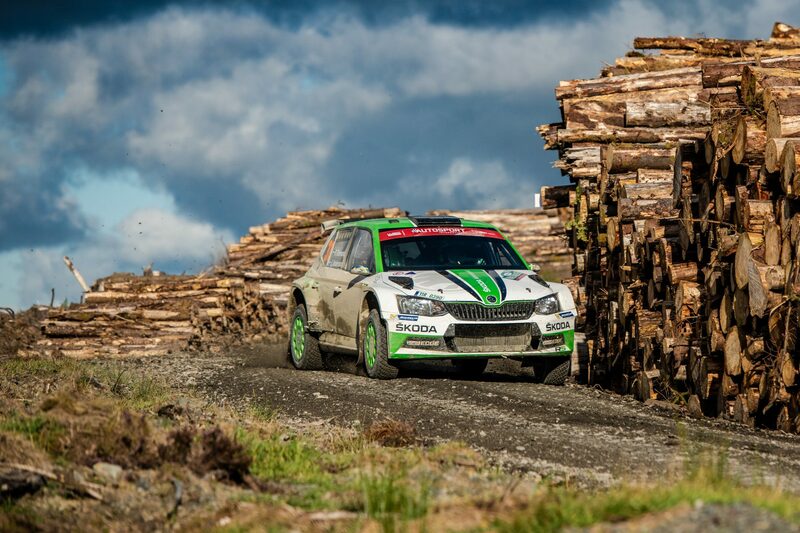 These are quick but often made technically difficult by wet and muddy conditions. 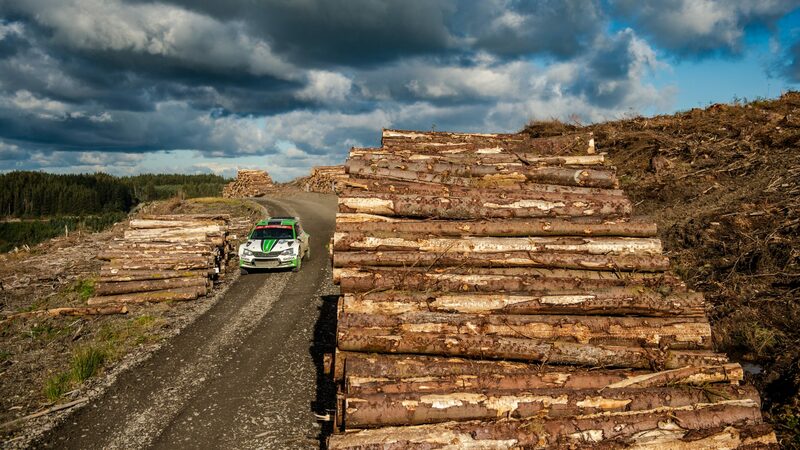 Trees and log piles along the course create hazards, whilst the unpredictable British weather can see rain and fog thrown into the mix too. 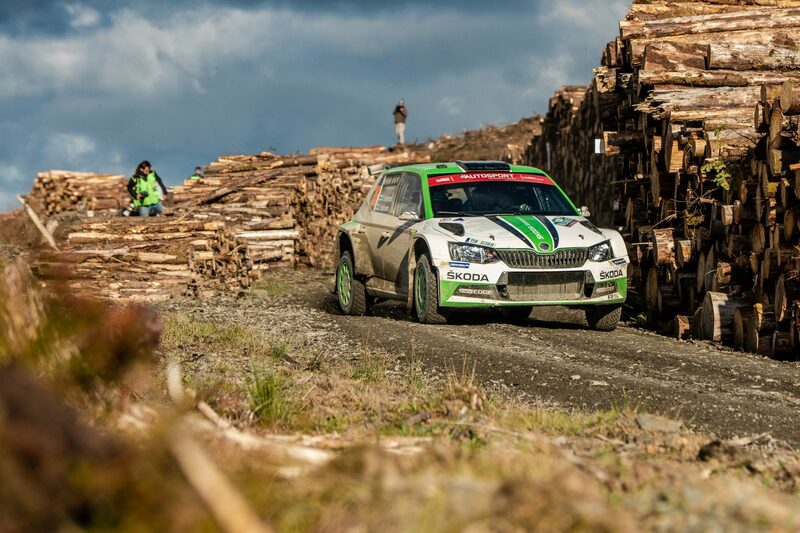 The Wales Rally GB is one of the most unpredictable WRC rounds of the year and is where title dreams can be won or lost. David Bogie just outside the WRC2 podium positions at the Wales Rally GB ● Adrián Díaz wins on ŠKODA FABIA R5 debut at the Rallye San Froilán in Spain ● Three Team FJ FABIA R5s in the Top 4 at the Critérium des Cévennes in France ● And more ŠKODA success in the France, Italy, Switzerland, Wales and Reunion. 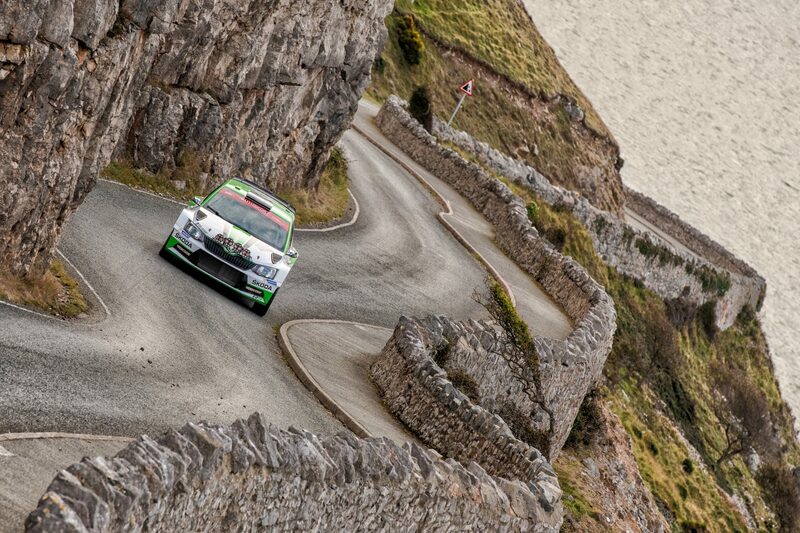 Time to celebrate for the team of ŠKODA Motorsport on the podium of Wales Rally GB, the penultimate round of the 2017 World Rally Championship (WRC). 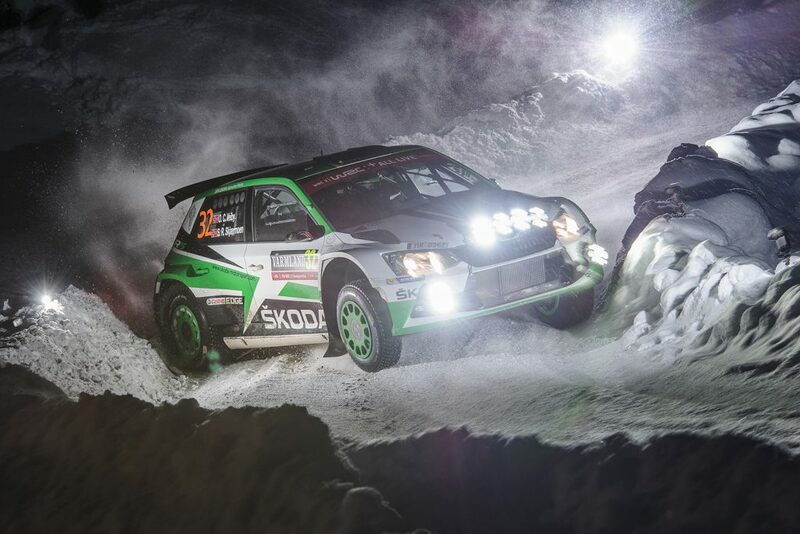 Newly crowned WRC2 Champions Pontus Tidemand / Jonas Andersson, driving a ŠKODA FABIA R5, scored a dominant fifth season win in WRC2 category. On their first rally in Wales teammates Juuso Nordgren / Tapio Suominen from Finland finished with a convincing fifth place. 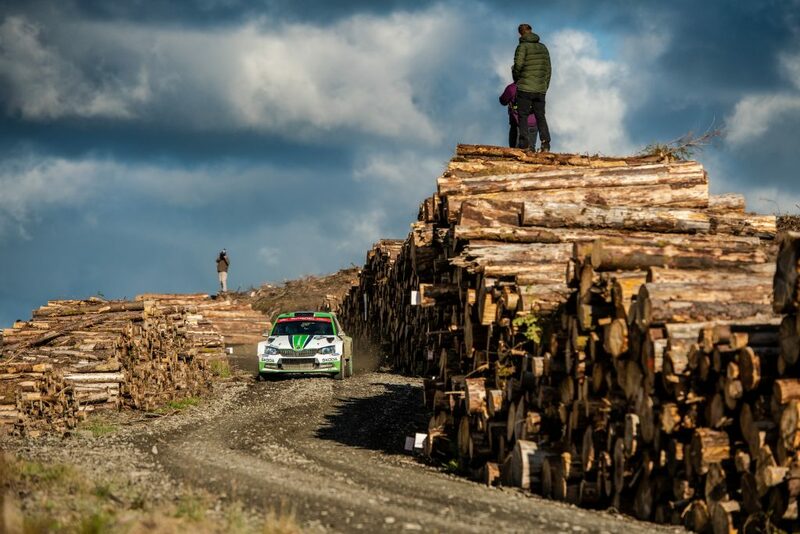 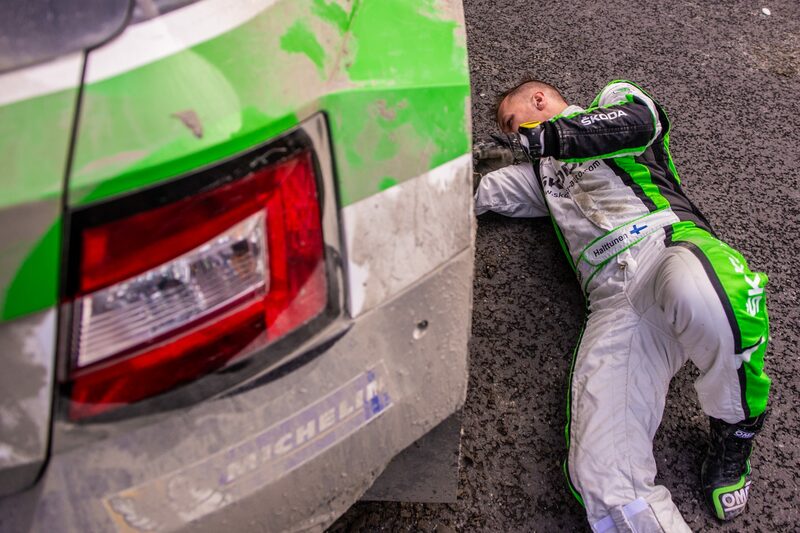 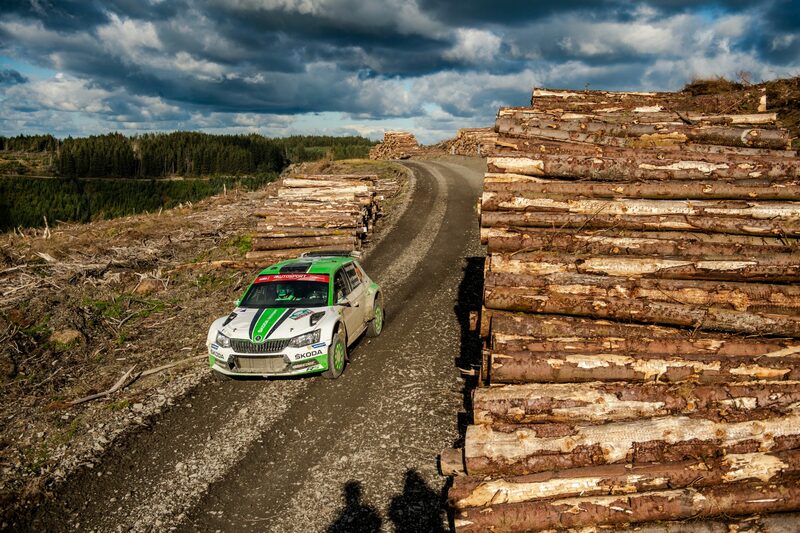 Recovering from an off during the first leg, after which their ŠKODA FABIA R5 needed some repairs, Ole Christian Veiby / Stig Rune Skjaermœn gained valuable experience on the Welsh gravel tracks and reached the finish as well. 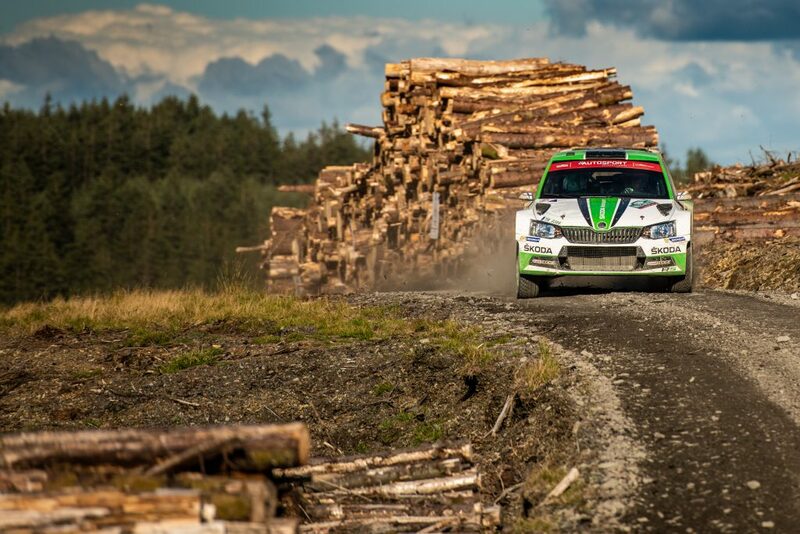 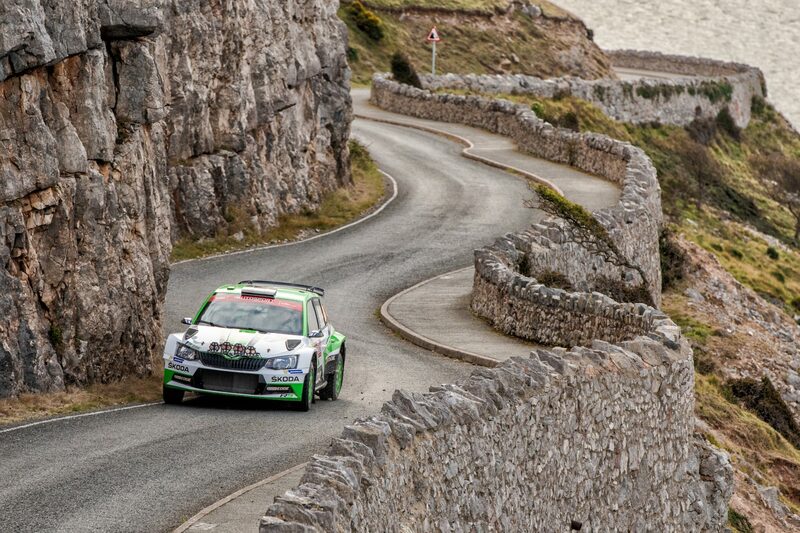 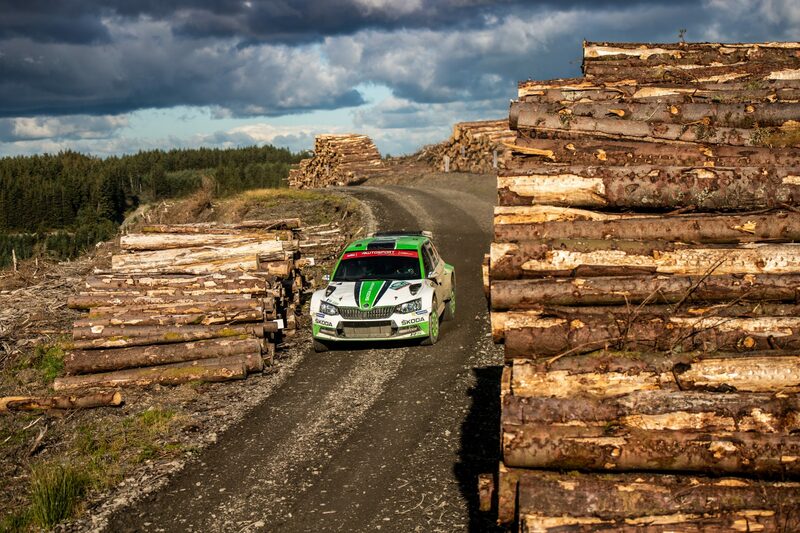 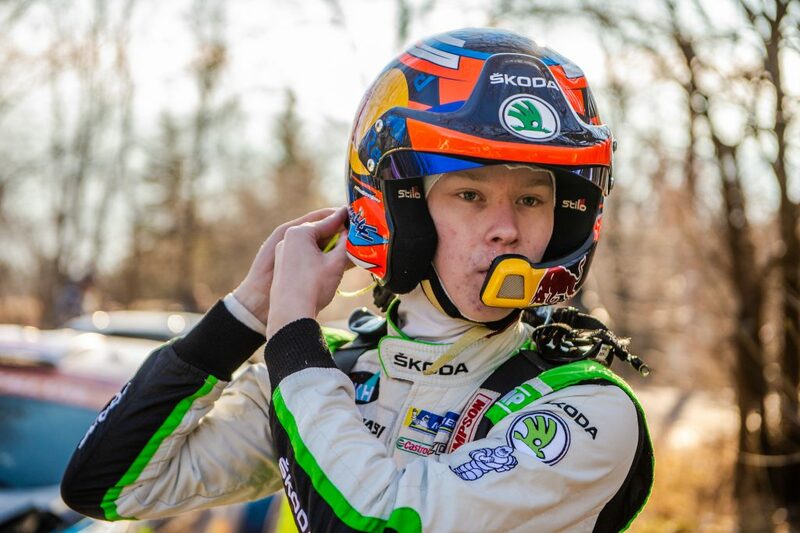 From twelve rallies during the 2017 WRC2 season Tidemand’s victory in Wales was the tenth by a crew driving a ŠKODA FABIA R5.